A section of the northern dam wall at the Cadia mine, located in the eastern Australian state of New South Wales, collapsed into the southern tailings dam on Friday releasing a slurry of finely ground rock, water and a low level of benign processing reagents. 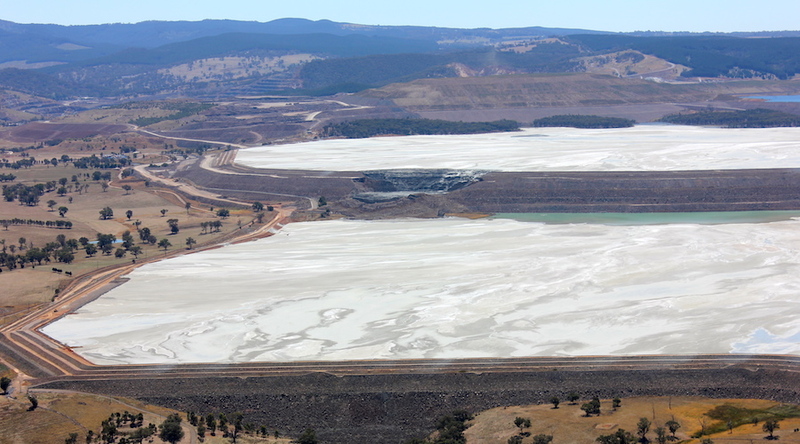 The information was provided by owner and operator Newcrest Mining (ASX:NCM), whose management issued a statement on Saturday saying that experts on site have observed no environmental damage and that there is no threat to personal safety. Nevertheless, Australia’s biggest gold producer halted operations at the mine while a probe into the causes of the wall’s failure is being conducted by the company, officials from the provincial government and independent investigators. The miner recognized, however, that there were previous issues. “An area of the embankment slumped following the earlier identification of cracks in the dam wall during a regular inspection. When these cracks were noticed the site team quickly engaged an independent consultant geotechnical expert to assist our own Cadia geotechnical engineers with an inspection and preliminary assessment of the embankment,” the press release reads. Even though the accident took place just a few days after two earthquakes of magnitude 2.7 hit the area, Newcrest did not mention any connection between these events. Back in 2017, the mine had to be shut down after it was hit by a magnitude 4.3 earthquake. It took about three months to bring it back to partial production. At the moment, the firm is making sure the area around the tailings dam is secured and is implementing “a comprehensive geotechnical monitoring system.” In parallel, company staff is reaching out to local landholders and residents downstream of the tailings facility, to keep them informed about the breach. “We are assessing the impact on our operations, and will provide an update when further information is available,” Newcrest’s brief states.